As You Know I am in it to win it!! I want to search for the $15,000.00 Exclusive Prize. That’s a Super Deal! This VIP want to win!! Thanks! That’s true we are praying and hoping to become a Winner and sure only one or two can Win’ But We Still Can Dream and maybe next the Sweepstake drawing ‘ You to Could become a Publishers Clearing House SuperPrize Winner.All You Have to Do Is Enter and watch what happen. Yes!! I Am A Believer and I have Faith that I Will Become A PCH Millionaire-Making Winner. doubting yourself get you nowhere you must know what you really want in life in order to go for it.” LIFETIME PAYOUT ‘ Should I Win from this notice ‘ I will have the options regrading the payout. TO AMEND TO ONE PAYOUT. I AM IN IT TO WIN IT ON APRIL 29th 2016 Please Confirm my entry to Win on April 29th #Knock Knock. I hereby, request pending ACTIVATION, DISPATCH and ISSUANCE, for a chance to be selected the Winner on April 29th, Gwy.no.6900, $7,000.00 “A Week For Life”. Also, a possibility for winning the “SUPERPRIZE”. It will be a Blessing to have the PCH Prize Patrol Elites knocking on my door, delivering the Blessings of God; and sharing with others on the Local TV area. I conclude with my daily obligation of prayers to God to protect the Prize Patrol Elites in their travels to deliver his blessings to me with a safe return to their families. It sure would be nice to Win $7,000.00 A WEEK FOR LIFE. Wish everybody GOOD LUCK! I TN Wright confirm my entrance in pch giveaway no. 6900 for a bonus super prize of $10,000,000. Thank you so much for the opportunity! I think I have activated all that have to be done – I think that this the grand finale of winning the various Prizes. Please oblige accordingly. Thanks. 7.000.00. a week that is My dream, I believed in My GOOD LUCK. I’m claiming my opportunity to win $7000. Per wk for life giveaway no. 6900. Plus superprize no. 6085 for $50,000 and no. 6086 for $10,000. Giveaway. Any one of these prizes would be a Godsend thanks for the opportunity. PCH, I would be more than happy to take the Search Now To Get A Prize Number On The Winner Selection List For: $7,OOO.OO A Week For Life on April 29th! For PCH a week for life off ya’ll’s hands. as well as the Million dollars, or even the $10,000.00 off ya’ll’s hands. And the first thing i would do is publish my book and mail a free copy out to everyone. The reason is simple, as a nurse that grew up in a very large medical family i know and have over 200 ways to get free medications as well as 3 was to get your doctors bills paid. These are things very few people know about but i am letting it all out. I want to win all I can . 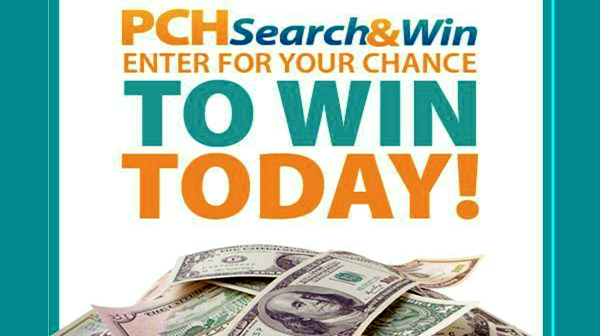 Pch gwy #6900 enter George Williams to win. clamming no 4950 $7,000.00 a week for life. also clamming no-6900- on April 29th for the local TV win $ 1000.00 for final step the prize patrol will follow to my house. thank you merlinda a lucero. love balloons & Champlain. GWY 6900, $7,000,00 FOR LIFE!! I’D BE THRILLED TO BE THE WINNER! 29 DAYS FROM TOMORROW WE SHOULD KNOW WHO THE WINNER IS. PLUS THE PCH SUPERPRIZE $7,000.00 A WEEK FOR LIFE on APRIL 29th. PCH GWY NO.6900! HI PCh…….. I want to win it! I’m praying hard to help for my family! thank you!!! I want to be the next big winner at Publishing Clearing House. I am trying with all my might to win. I could use this kind of money to fulfill my dreams and the people I love AS WELL. pLEASE, PLEASE, PLEASE….I WANT TO WIN. Just getting started so, still green and need help. would you please activate PCH GWY NO.6900 and bring on the money!!!!! HELLIO PCH I SO TRUELY AND DEARLY WANT TO WIN 7,000 A WEEK SUPERPRIZE PCH GWY#6900 ON APRIL 29.THANK YOU AND GOD BLESS. HELLO PCH YES I WANT TO WIN AND APPREICATE IT TO THE HIGHEST THAT I AM GIVEN THIS BIG CHANCE TO WIN THANK YOU PCH.I WANT TO WIN I AM LONGING TO WIN 7,000 A WEEK FOR LIFE PCH GWY#6900 ON APRIL 29. Patrol for My Ten chances to Win A VIP EXCLUSIVE $10,000,00 Cash Prize From Gwy No7233 . # I am” In IT TO WIN IT ON 4/29. Just like everybody else I would love to win! PCH Prize Patrol”FRONTPAGE” Double feature! I will Win (2) Millionaires Making SuperPrizes not (1) SuperPrize. The Prize Patrol could arrive at my home in jest weeks .And Thank you For My Loyalty” Exciting” Willing Opportunity Exclusive Prize Guaranteed to be awarded! . HELLO PCH I WOULD LIKE TO CLAIM MY ENTRY FOR 7,000 A WEEK FOR LIFE PCH GWY#6900 ON APRIL 29 THANK YOU. Pch Win $7,000.00 A Week For Life Prize No-6900 On April 29th Activate ! I’m writing to response , this would be a true blessing for me , I take care of my mother who’s 75 years of age, I have worked since I was 16 years of age I never travel I never own a home and my dream car is Buick lacrosse. Oh yes, I would really really love to win $7,0000.00 a week for life, so I could retire and not work any longer. I just turned 59 years old and I have worked for close to 40 years. I am here living with my daughter, soon to be son-in-law in law, grandson, step grand daughter. I would like to get me a new car, a new bigger house, RV for camping or traveling. To help my daughter pay for the wedding on July 9, 2016. To bring my sister in law Becky up here from North Carolina to get a job. To pay her bill for her late husband Earl funeral to his little brother Charles, Angie. To also travel to Florida to visit my ex husband so he can meet his grandson,our kids,meet the son in law. Get my affairs in order also.He had recently had part of his leg cut off for an infection from diabetes. PEOPLE ALL OVER USA ARE NOW PRAYING AND HOPING TO WIN $7000 A WEEK FOR LIFE BUT ONLY ONE WILL WIN. GOOD LUCK TO EVERYONE INCLUDING MYSELF. W1612. Thank you for the chances you give me and hope my wish come true. Thanks PCH # 6900/4900 I am so exited to claim my final 5X GWY # 7696 for 1000.00. Yes I want to win it all. I am in it to win it all. Yes I want to win $ 10,000.00 A WEEK FOR LIFE. Yes I want to win $ 4,000,000,00 in cash up front. Yes I want to win $ 2,000,000,00 in cash up front. Yes I want to win $ 1,000,000.00 in cash up front. yes I want to win Brand new car MKZ. I will see you soon. God Bless you. I want to claim my final PCH GWY 7696 for 5X plus $1000.00. I am so lucky to be able to get to this point of my life. Hello My name is Debra I would like to win just one time the P.C.H. Good luck to everyone and God Bless. family life a very special lifestyle forever. tax free gwy No. 6900 and $10,000,000.00 gwy No. 7026!!! I’m in it to win win win it!!! Yes PCH I very much would like to win the $7,000 wk. for life prize GWY 6900 and need to claim and activate this prize, as well as the $25,000 Golden Ticket prize. I am claiming any prize that I am eligible for and am hoping I have entered all the final steps correctly. Thank you very much for the opportunity to enter these sweepstake contests. Time is getting close and every is excited. I like this page to leave our comments. I want to activate and claim my Gold Ticket prize, as well as the GWY 6900 $7,000 WK. and want to be eligible for the April 29th drawing. I have tried to make sure I have done all the steps and have worked hard to do so. So, YES, I WANT TO WIN. Thank you PCH. Dear friends: thanks for this post . It’s posible to help me in activate this entry and change the status in my superprize claim PCHGWY No. 6900 ? Thanks friends for your help. Hi PCH, I search to Enter, Activate and Win, $7,000.00 A Week For Life Gwy. No. 6900. Please PCH I really want to win so I can get the best health insurance possible, and the 10,000,000.00 would really be a good start plus the $7000.00 a week would even be better. thank you. 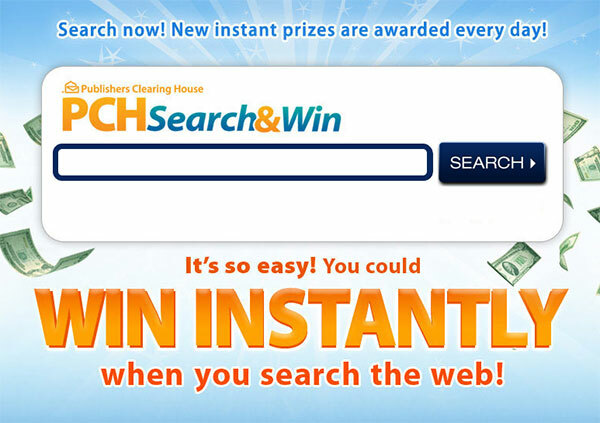 I’d like to be the winner of the $7.000 a week for life publisher’s clearinghouse grand prize. I’m not sure if i’m searching the search engine properly, i’d like to wish everyone good luck hunting. Pch Win $25,000.00 Cash Prize No-4749 Plus, Win $7,000.00 A Week For Life Prize 6900 On April 29th Activate ! $10,000 Gwy# 6086 all are A Week For Life Sweepstakes. PCH PLEASE ACTIVATE GWY#4950 for $1,000,000.00 CASH! GWY#6900 for $7,000.00 AWEEK FOR LIFE!GWY#6085 FOR LINCOLN MKZ GWY#4749 FOR $25,000.00 CASH (SUPERPRIZE!!). IVE BEEN ENTERING AND PLAYING NOW FOR”27″ YEARS!! If i were to win PCH $7,000 a Week For Life Sweepstakes i would first bless everyone in the U.S. with a Free Book that i have been working on for sometime that has a ton of Free Medical information in it that not only gives everyone a ton of Free or very low cost ways to get your medications. But also i list more than one way to see a Dr. for Free and one of the ways will also give you 6 months of Free medication as well. Another way i tell you how to get you prescriptions filled for free as well. I know these ways work for a fact because i am not only a nurse but i also come from a very large medical family. But these are things that are not talked about nor does the medical field want let out. But i am letting it out. But i would also keep helping out those whom need it like the toy for tots, as well as those whom’s homes have burned down as well as raising money for them for clothing and a place to stay until they can get back on there feet again. I have done so much over the years the list is way to long to even start to list it. It’s the way i am, and will always be all my life. HELLO PCH I WOULD LIKE TO PUT MY ENTRY IN FOR BRAND NEW LINCOLIN MKZ,PLUS 7,000 A WEEK FOR LIFE SUPERPRIZE PCH GWY36900 thank you. PCH another $7,000.00 a week for LIFE is on, and I am hoping to win this time. I CLAIM, my entries to win Gwy.no.6900, $7,000.00 “A Week For Life” on April 29th; Gwy.no.6085 for a Lincoln MKZ and my 5X entries of $10,000.00. Again, I have God in my blessings to answering the PCH Prize Patrol Elites to deliver the Prize Award to my Local TV residence and share the joyous moments with me. My daily prayers for the Prize Patrol Elites to have the protection on God the Father in their travels to deliver his blessings and return to their homes under is protection of safety. Verybpatoentvsndcyhoscis doer a good virtue for women to have. Hank you pch for Making all this possible. YES I want to win also GWY NO7233.PS thank you for the check ! The Area of Calument and East Hammond WILL USED IT VERY carefull. 6900 por la cantidad de $7,000.00 todas las semanas de por vida. 7233 que paga $20,000.006085 y4900. Reclamo dos entradas para el solteo de $20,000.00. Tambien reclamo entrada para el solteo 6900 que otorga la cantidad de $7,000.00 todas las semanas de por vida. Incluyo tambien el solteo 4900 que otorga la cantidad de $5,000.00. todas las semanas de por vida. Espero poder ganar alguno de ellos.